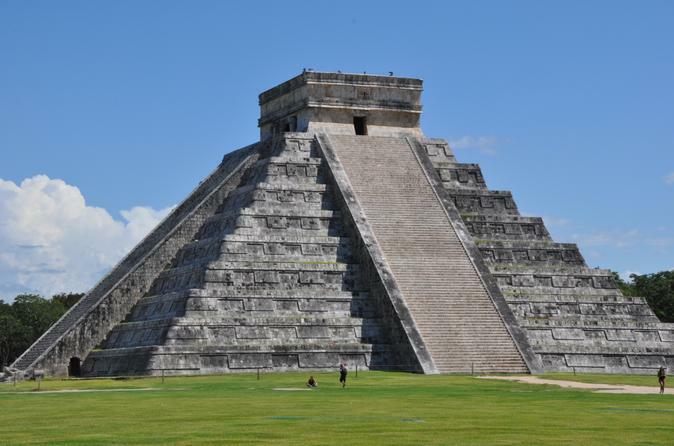 Spectacular Chichen Itza holds both mystery and magic and it is a UNESCO World Heritage Site. Explore the most important archaeological zone and ancient capital of the Mayan Empire on a full day guided tour from Cancun. 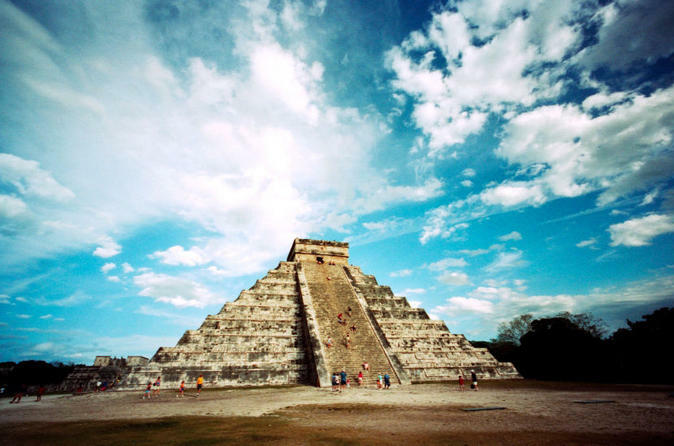 Admire the majestic observatory, the Pyramid of Kukulcan, the Temple of Warriors, the ball court and the castle. Sample typical Mayan cuisine at a buffet lunch with folkloric dancers and swim in a cenote (Ik Kil or Hubiku). 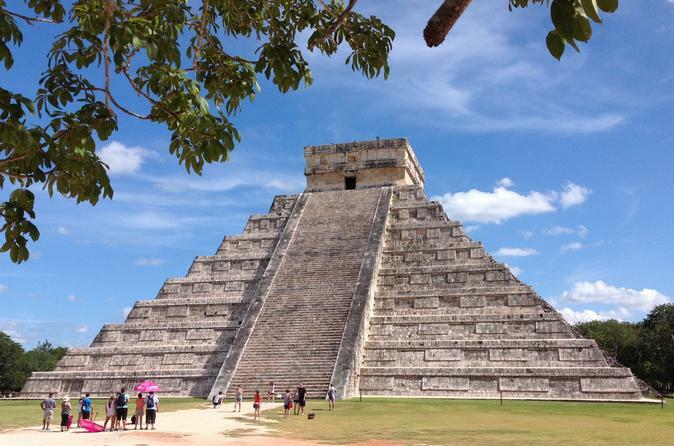 Your Chichen Itza day trip includes hotel pickup and drop-off and a professional guide. Tour Tulum, one of the most famous Mayan sites, with a private archaeologist — a Viator exclusive available nowhere else! 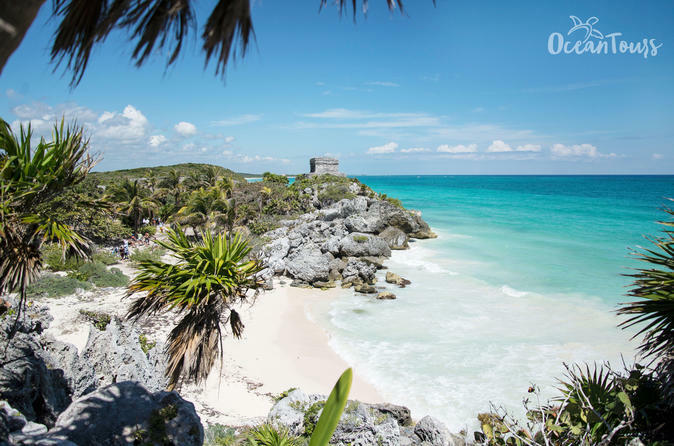 Arrive in the early morning and miss the crowds, allowing you to fully experience the magnificent Tulum ruins, built on a cliff above the Caribbean Sea. With pickup from Cancun and Riviera Maya hotels, you’ll see all the best places within the site. Receive personalized attention from your professionally certified guide. 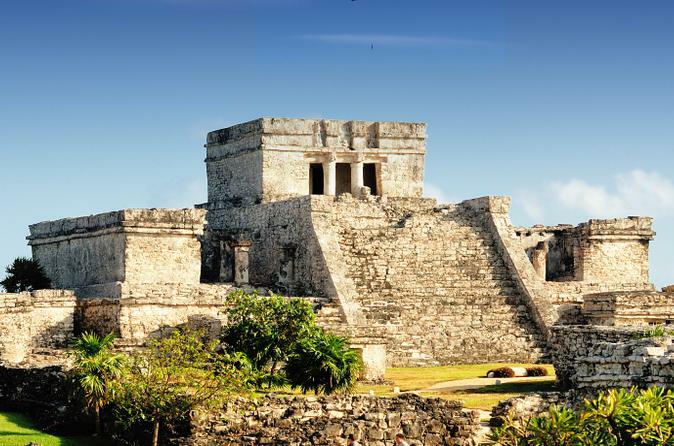 Reveal the mysteries of ancient Mayan civilization with this Cancun Super Saver, a full-day adventure to Tulum and Coba combining two best-selling tours at a discounted price. On your visit to the archaeological site of Tulum, unravel the history of the pre-Columbian walled city with a guide, and enjoy an invigorating swim in a underground cenote. Savor Yucatán Peninsula specialties at a buffet lunch, and then delve into the rainforest to explore the ruined Mayan village of Coba, once a bustling center for trade. Discover the Mayan city of Chichen Itza through a private entrance at Mayaland Resort, without waiting in line! On this small-group tour of this UNESCO World Heritage Site, you’ll visit ancient temples such as the Pyramid of Kukulcán for two hours with an expert guide, plus enjoy free time at the resort hotel. Swim in the pool, stroll through the botanical gardens and visit the sacred Xtoloc Cenote, or re-enter the temple complex on your own. A buffet lunch of international and Yucatecan dishes is included, plus exclusive access to Viator's on-site hospitality suite. 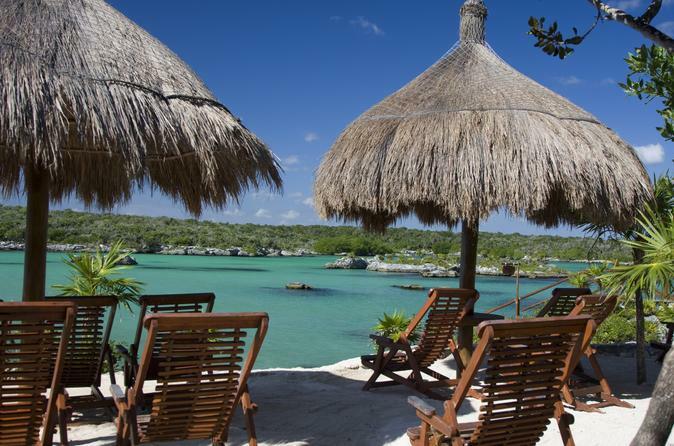 Discover the mysterious beauty of Tulum and the stunning, natural Xel-Ha aquarium. This relaxing, all inclusive excursion from Cancun or Playa del Carmen will give you the opportunity to explore the spectacular Mexican landscape and natural aquatic life. This family friendly excursion is sure to leave the entire family in awe! This is the perfect 3-in-1 combination tour of the Riviera Maya. You'll visit the Tulum ruins, then go snorkeling in the colorful coral reef in the Caribbean Sea and finally you'll get to swim and refresh in a crystal clear water cenote and visit some caves. Your tour also includes a delicious lunch of typical regional food plus transport. 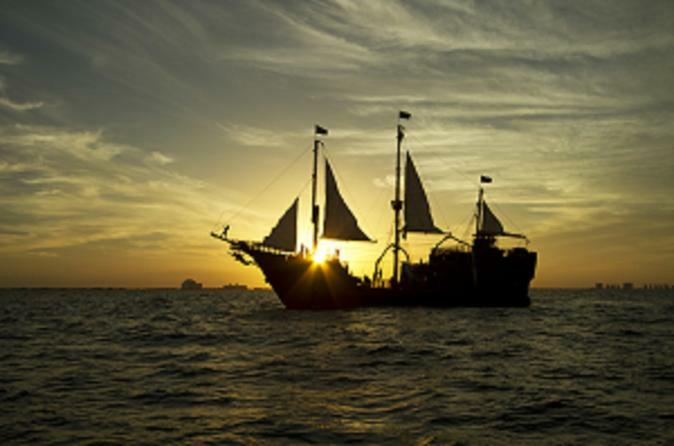 Channel your inner pirate and spend an evening on the Captain Hook Pirate Dinner Cruise in Cancun. Board a true-to-life replica of an 18th-century Spanish galleon for a swashbuckling meal at sea. As you cruise along, enjoy a delicious chicken, lobster or steak dinner; then be entertained with games, pirate antics and a ship-to-ship battle. 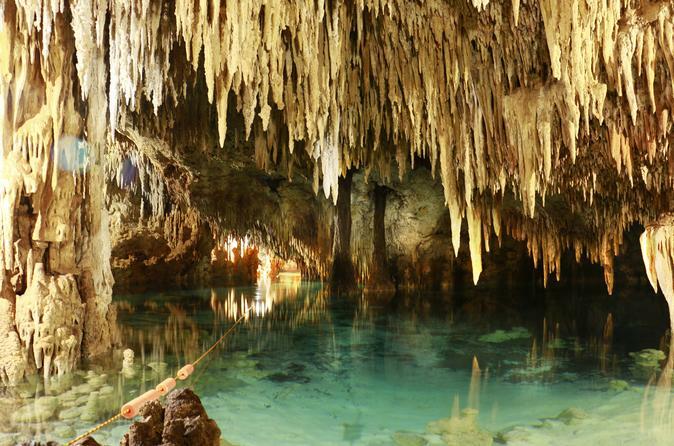 Discover the mysteries of the Yucatan on a visit to Rio Secreto Nature Reserve. 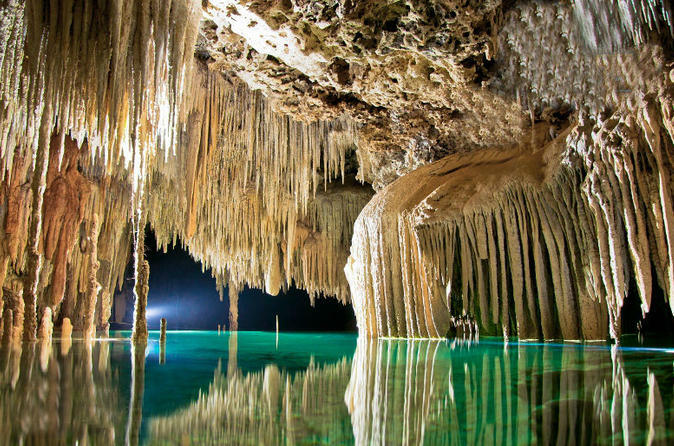 Enjoy an exciting afternoon adventure at Rio Secreto, where you’ll wade and swim through an underground river and encounter the stillness of a crystal cave. You can select hotel pickup and drop-off, or meet your guide at a central location in Cancun. 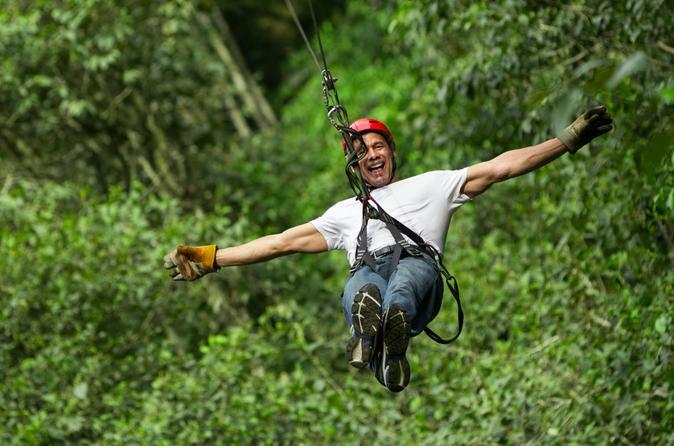 Get ready for the adventure of a lifetime and come visit the largest zipline circuit in North America! 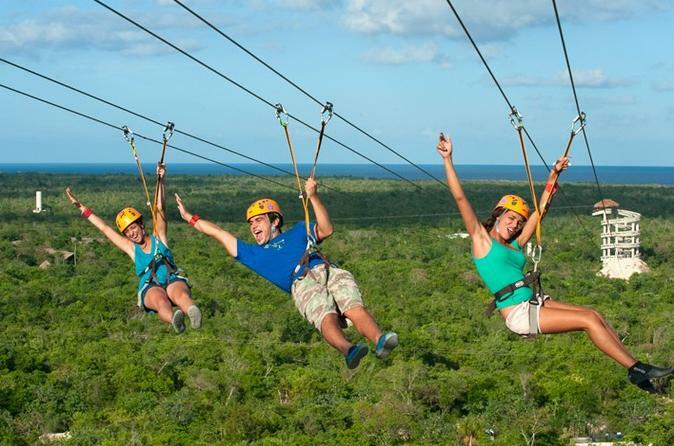 With 12 ziplines covering a distance of nearly 2 miles (3km), you'll get to see all of the Cancun jungle. Recognized by Travel + Leisure Magazine as "one of the 35 great adventures in the world", this family-friendly tour is a Cancun experience you don't want to miss! Set out on an eco-adventure through the Cancun jungle via zipline and ATV on this exciting combo tour, including a visit to a refreshing cenote! 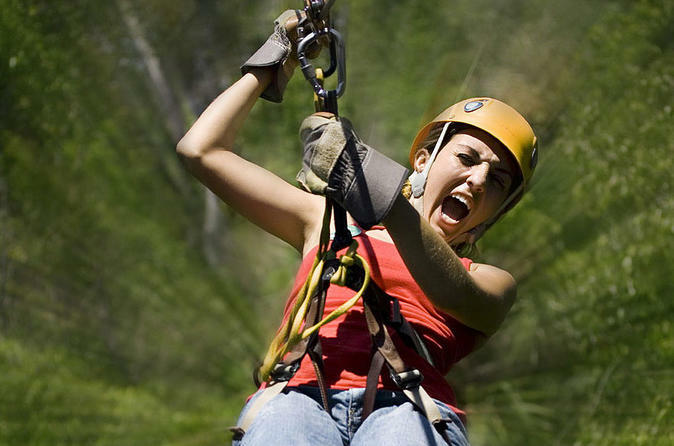 Soar through the treetops on 12 ziplines – considered the best in Mexico – and head off-road on your own four-wheeler ATV for a 30-minute ride. You’ll enjoy swimming and diving into the cenote’s emerald green waters before a light lunch under a palapa. 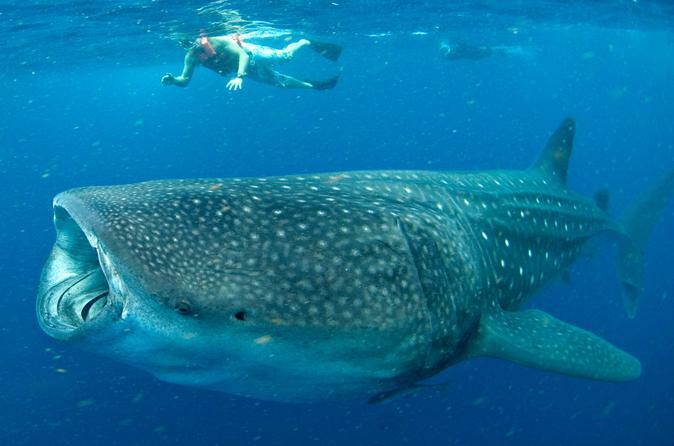 Go for a snorkel with Mexico's gentle giants - whale sharks! 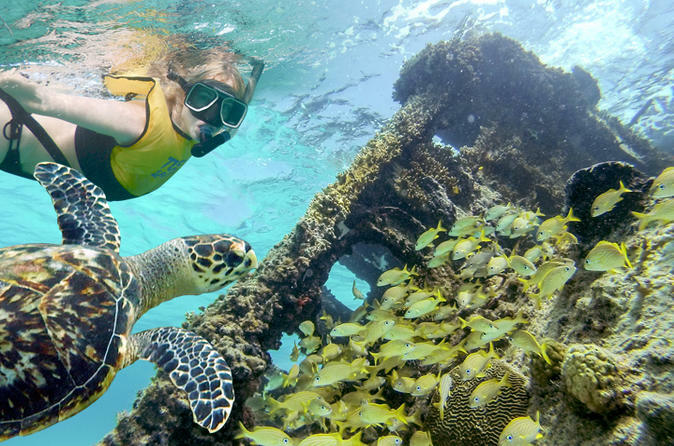 Cruising the Gulf of Mexico with an expert guide, you'll snorkel with the biggest fish and maybe spot dolphins, manta rays and turtles on this small group snorkeling adventure off the Yucatan coast. 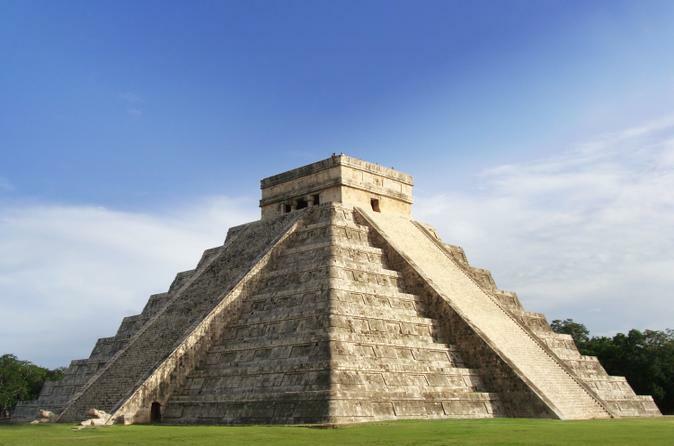 Get to know one of the New7Wonders of the World during this full-day tour of Chichen Itza and Valladolid. 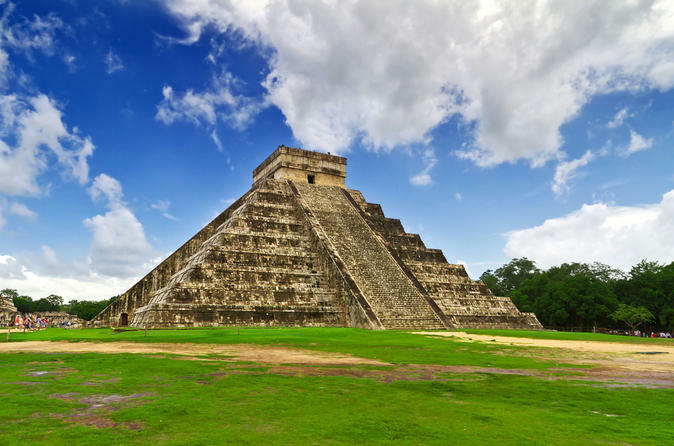 At the ancient Maya site, admire the Kukulkan pyramid and the Temple of Warriors. Learn about their architecture, sculptures, and carvings. Swim in a tranquil 'cenote' (underground freshwater pool) and and enjoy a traditional buffet lunch. Then, discover the Spanish colonial heritage of Valladolid. Round-trip transport from your Cancun or Riviera Maya hotel is included. Sail on a beautiful Trimaran through the Caribbean Sea and travel to the tropical island that sits on the imaginary line between the Gulf of Mexico and the Caribbean Sea. Explore Isla Mujeres and enjoy a relaxing day on this beautiful, quiet island! Attention water lovers: Paradise awaits at Xel-Há, a natural aquarium located along the Riviera Maya. Angelfish, iguanas and other wildlife complete your jungle tableau, as you explore a lagoon, cenotes, caves and a hidden beach. Bike around the lush grounds, or simply laze down a river in an inner tube. Satisfy hunger pangs with the flash of your wristband for all-you-can-eat burgers, seafood, Mayan cuisine and more. This all-inclusive tour, perfect for families, includes round-trip hotel transport from Cancun. Enjoy a half-day tour in Tulum with snorkeling, and get the chance to visit a coral reef where you can see and swim with fish and all our natural wonders. This tour includes a professional guide and snacks. Select a pickup area, either Cancun or Playa del Carmen, when booking. 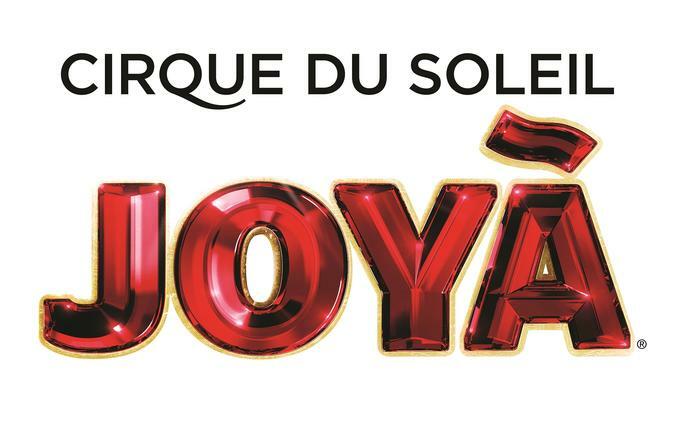 Immerse all of your senses with the Cirque du Soleil® show 'JOYÁ' — the first Cirque show in the world to offer the option of tablecloth dining — opening in November 2014. Follow the story of an alchemist and his granddaughter embarking on a transformative quest to uncover the secrets of life, with the help of half-human, half-animal creatures. Set inside an intimate theater in the heart of the Riviera Maya jungle, ‘JOYÀ’ draws on Mexico’s history and heritage to bring you a world where physical ability meets the extraordinary. Round-trip transport from Cancun, service fee and will call fee are included. 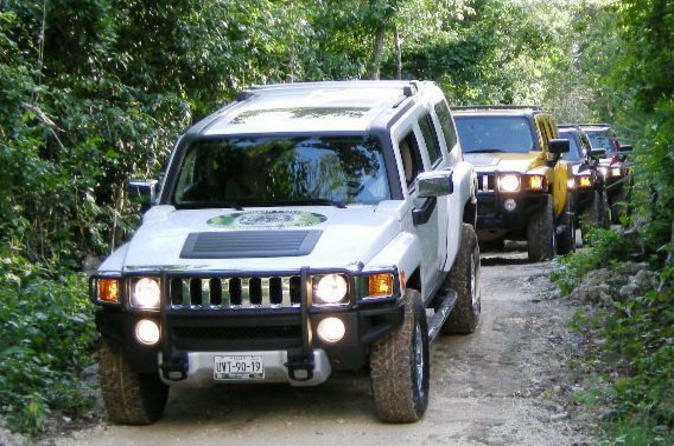 Explore Cancun like never before - through the jungle and in a Hummer or Jeep! Hop aboard a fully automatic Hummer and take the adventure of a lifetime, visiting an authentic Mayan ruin and interactive zoo, swimming at a cenote and going on a thrilling ziplining adventure. Book your all-inclusive Cancun Hummer tour today and experience the very best of the Riviera Maya! 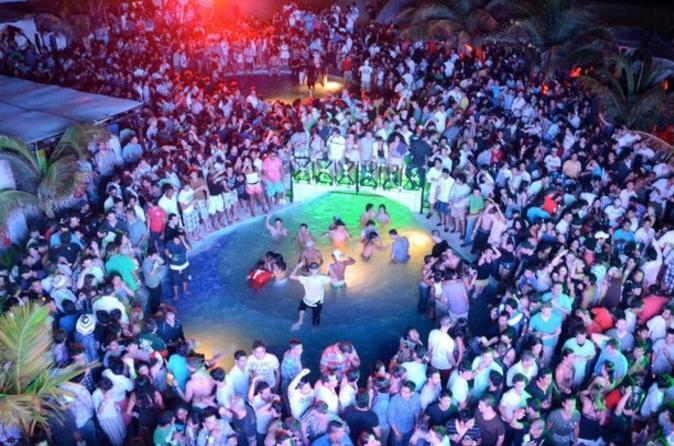 Spend a night in Cancun at three of the city’s most exciting nightclubs! This 6-hour club-hopping tour is filled with fun, dancing and VIP service. Enjoy unlimited drinks while you dance the night away, and skip the long entrance lines at each club. This is the best way to experience a night out in Cancun. 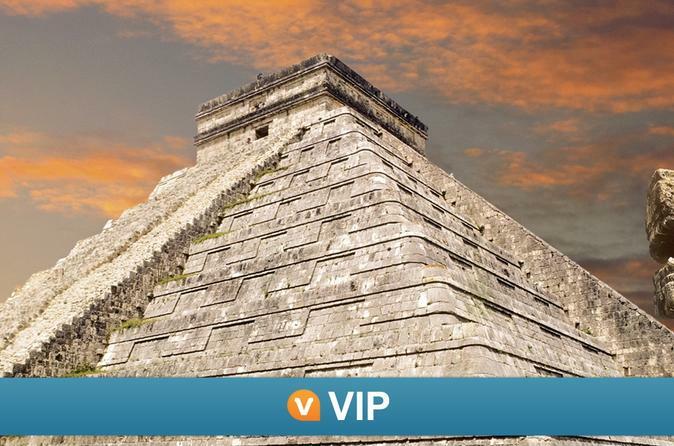 See the best of Chichen Itza by day and night on this Viator VIP tour available nowhere else. Sail past the hordes waiting to enter the UNESCO World Heritage site and uncover the secrets of the ancient Mayan city with an expert guide. While most people head out after a day at the monument, you get to see a stunning sunset over Chichen Itza's observatory while enjoying Mayan tapas and bottomless margaritas at Mayaland Resort. At night, Kukulcán Pyramid transforms into a living canvas with undulating images during the light and sound show. Hotel transport and access to Viator's exclusive on-site hospitality suite are included. 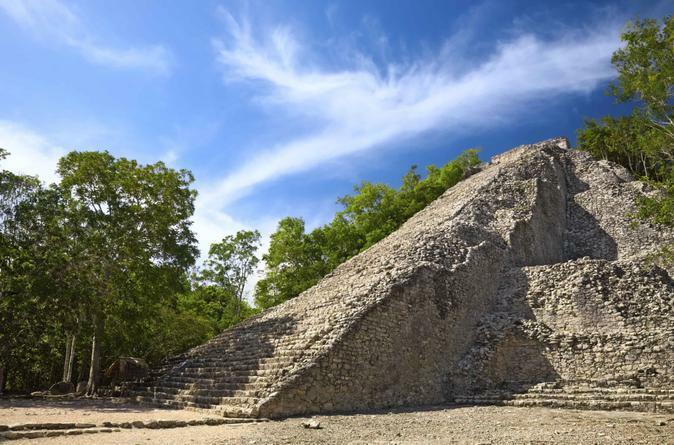 Discover the ancient city of Coba, without the crush of crowds, on this early morning tour with an archaeologist guide — a Viator Exclusive that can't be booked anywhere else! Explore in relative tranquility one of Mexico's most famous Mayan sites, one of the largest settlements of the Classic period, and enjoy personalized attention from your professionally certified archaeologist guide. Huff your way up the tallest pyramid in the Yucatan Peninsula, snap amazing photos, and then cool your jets with a dip at Aktun Chen cenote. Lunch and hotel transport from Cancun are included. Cruise on a comfortable vessel north of Cancun and soak up the beauty of Ixlache Reef and Isla Contoy. 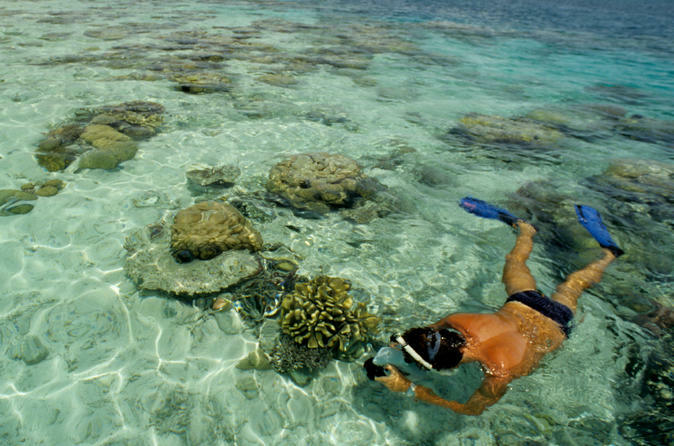 At Ixlache Reef, snorkel near coral, sea turtles, and fish of every color. 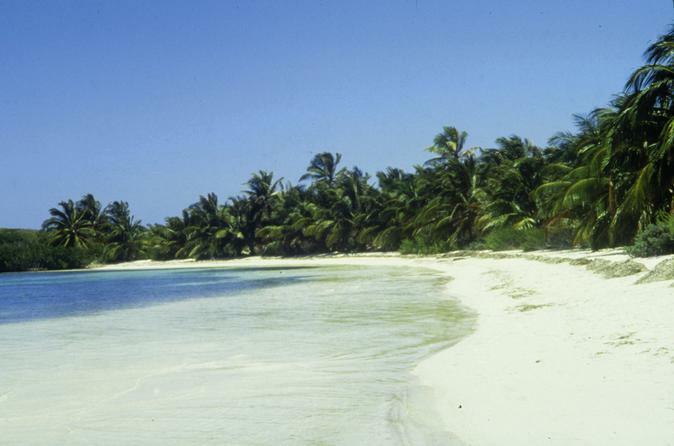 Then join the privileged few allowed to visit Isla Contoy, a national park and wildlife refuge to various turtles and more than 150 species of birds. A certified guide takes you on a tour of the island, after which you have plenty of time to wander on a trail, visit a nesting lagoon or lounge on the beach. 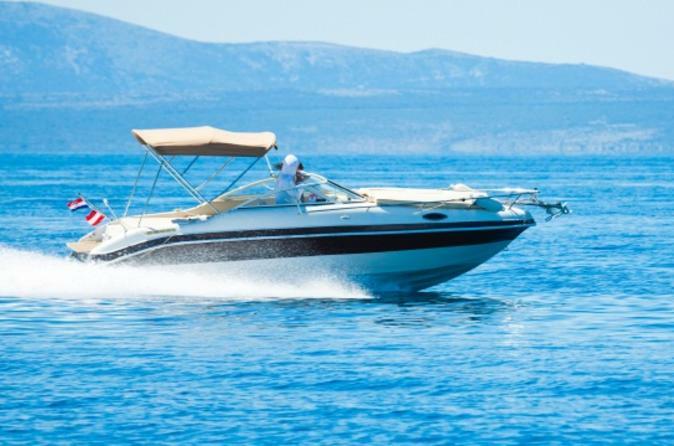 A continental breakfast and domestic open bar on the boat, along with a buffet lunch on the island, ensure you’ll have the energy to enjoy the day. Mexico offers one of the most exhilarating experiences available. 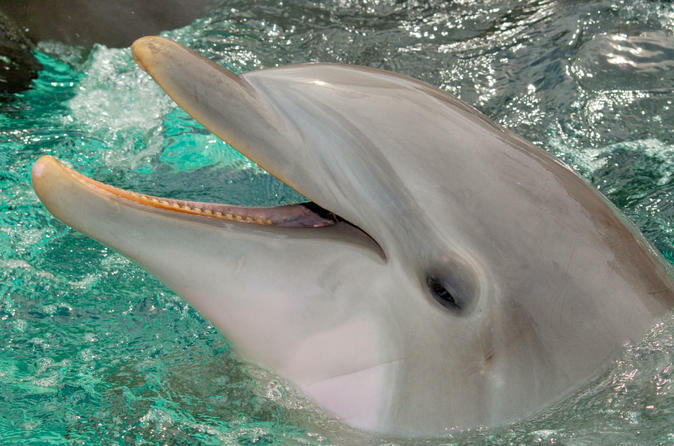 The Royal Dolphin Swim is the perfect way to discover this gentle, friendly and intelligent mammal! Prepare yourself for a memory that will stick with you forever as you are pushed by the dolphins at high speeds around the water. Truly an unforgettable experience! 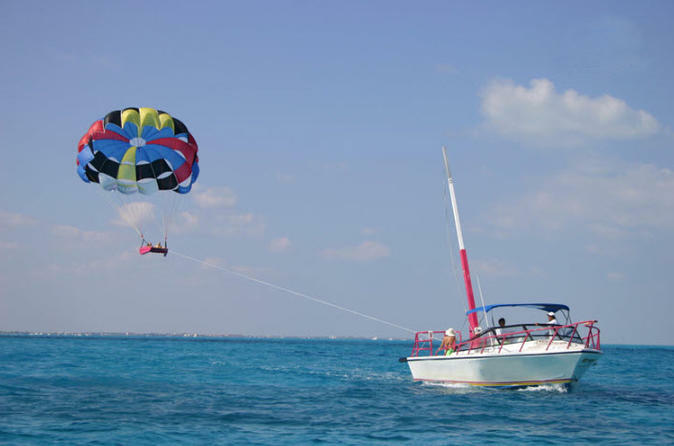 On a wave runner or speedboat for two, set off from Cancun on a breathtaking tour across the Nichupte lagoon. Ride through the dense mangroves, the Nizuk River and the Caribbean Sea, all the way to the Nizuk Coral Reef where you'll snorkel among living colorful corals and a myriad of tropical fish. Indulge in some of the greatest attractions on offer in the Yucatan with this Cancun combo! 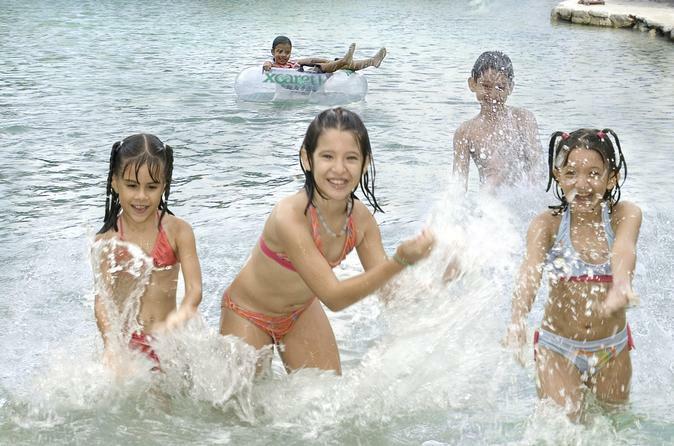 Select two out of four amazing options – Xcaret, Xel-Ha, Xplor or Chichen Itza – depending on your preference. 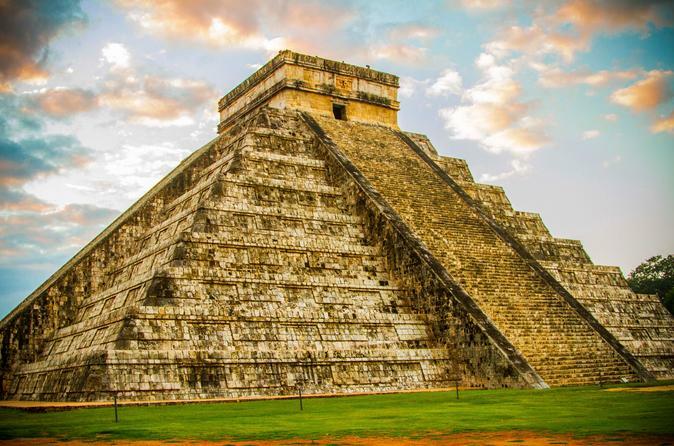 You’ll gain admission to the best aquatic, adventure and archeological parks around, with an expert guide at UNESCO World Heritage-listed Chichen Itza. Round-trip hotel transport by luxury coach plus food and drinks are included. Just take the two selected tours within 15 days of each other (one per day). 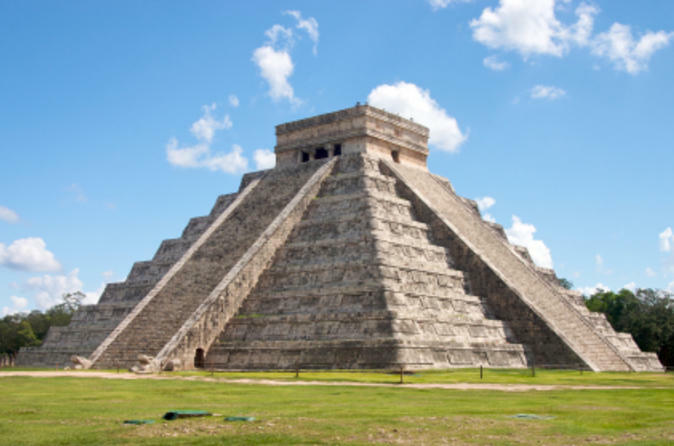 Spectacular Chichen Itza holds both mystery and magic, and you can explore it on a personalized, private tour from Cancun. 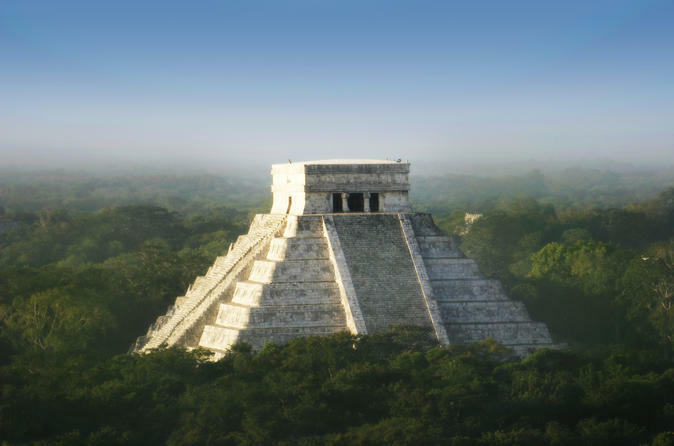 This UNESCO World Heritage Site and ancient Mayan capital is the most important archaeological zone of the Mayan Empire. 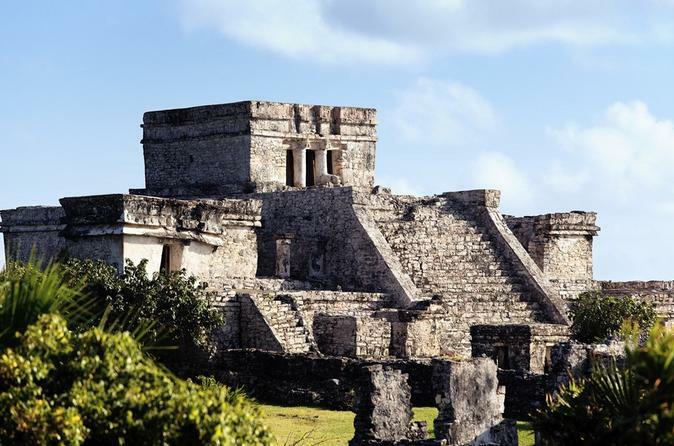 On your private tour, you can spend as much of the day as you wish at the site, admiring the majestic observatory, the Sacred Cenote, the ball court and the castle. Hire an on-site guide for additional insight into these ruins (additional cost) or upgrade your tour to include lunch or lunch with drinks. Come aboard the Jolly Roger pirate ship for a family-friendly evening of dining, dancing, and shows. 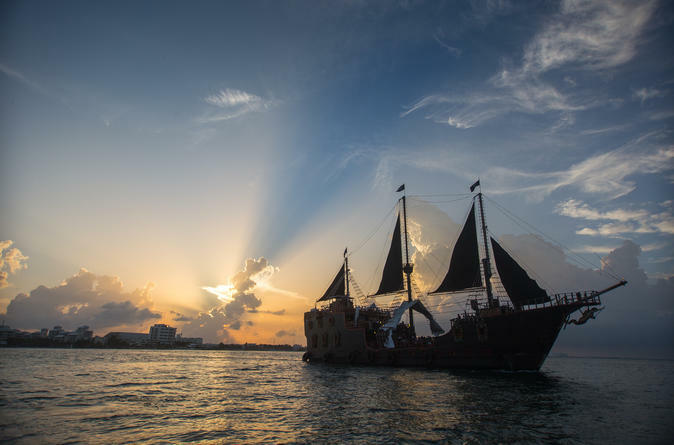 During this 3.5-hour cruise, be entertained by the most most talented pirates in the Caribbean with an original swashbuckling, rope-swinging, cannon-firing show. Dine on a pre-ordered menu served by a pirate waiter and say "bottom's up" to an endless supply of domestic drinks. Menu choices include a kid's meal, a premium option, and a vegetarian option. 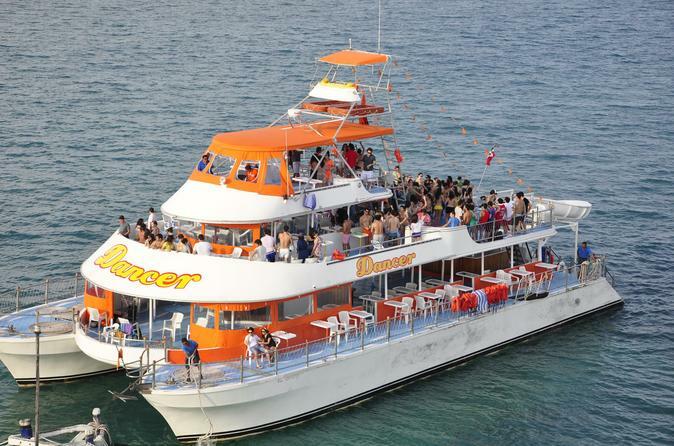 Escape the crowds in Cancun and enjoy a beautiful cruise on the Nichupte Lagoon. Feast on a delicious lobster and steak dinner while cruising along the lagoon and listening to the mysterious sounds of the jungle. This truly is an unforgettable experience and a must do when visiting Cancun, Mexico! This Viator Exclusive - available nowhere else - let's you explore the archaeological site of Chichen Itza at your own pace. You decide when and how many times to enter the site. Simply purchase your tickets at the entrance (not included) and feel like a real archaeologist exploring this Wonder of the World however you like. Not just this, but you'll also have access to Viator's exclusive on-site hospitality suite where you can relax and use Mayaland's pools and amenities before heading back to your hotel. Experience the Maya sites of Chichen Itza and Tulum in the morning hours, before the majority of the crowds arrive. With this Super Saver, you can combine two top tours from Cancun at a discounted price across two days. 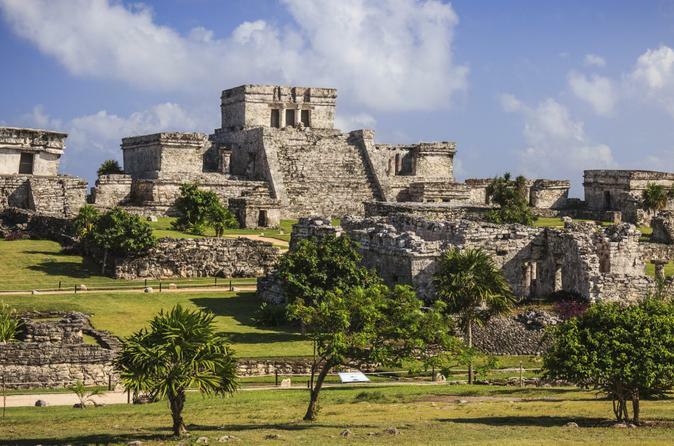 Explore each site with an archaeologist guide to learn interesting facts about one of Mexico’s ancient civilizations, see fascinating ruins like El Castillo at Chichen Itza (a World Heritage site) and admire Tulum’s spectacular setting on the Caribbean Sea. Lunch is included on both days with this Viator Exclusive that’s available nowhere else. Experience the best of the Yucatan on a Cancun combo tour including Chichen Itza and your choice of a Dolphin Encounter, Dolphin Adventure Swim or catamaran sail! 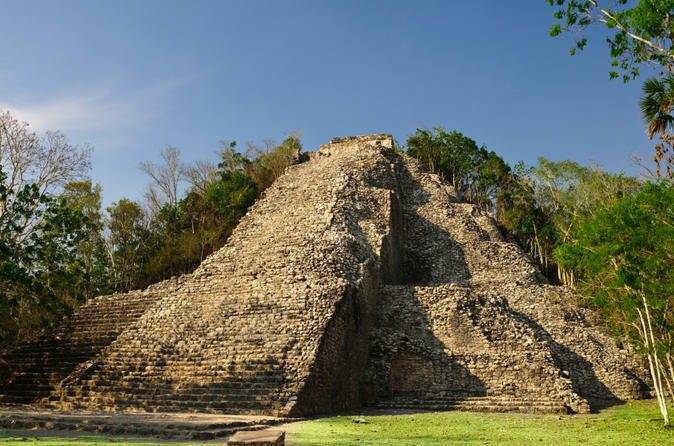 See the Pyramid of Kukulcán and other archeological wonders at the UNESCO World Heritage Site, and enjoy a lunch buffet at Mayaland Resort. Interact with a dolphin for a hug and kiss, swim with a dolphin as he pushes you across the water, or sail to Isla Mujeres – including shopping, snorkeling, a spinnaker ride and an open bar. Enjoy either combo over two consecutive days or with a day to rest between each activity. 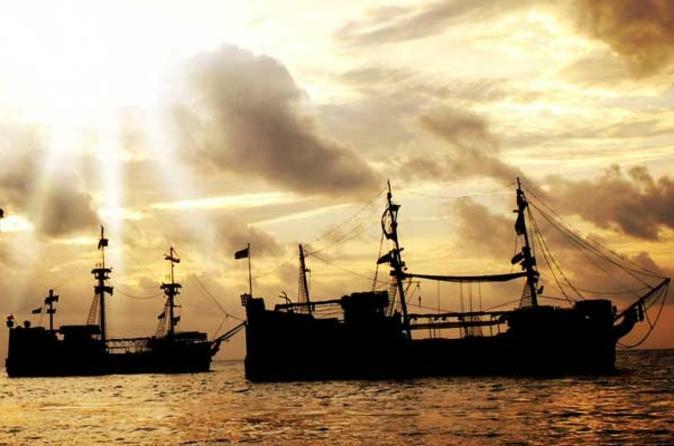 Revel in a ‘Pirates of the Caribbean’ experience on this fun and entertaining dinner cruise from Cancun. 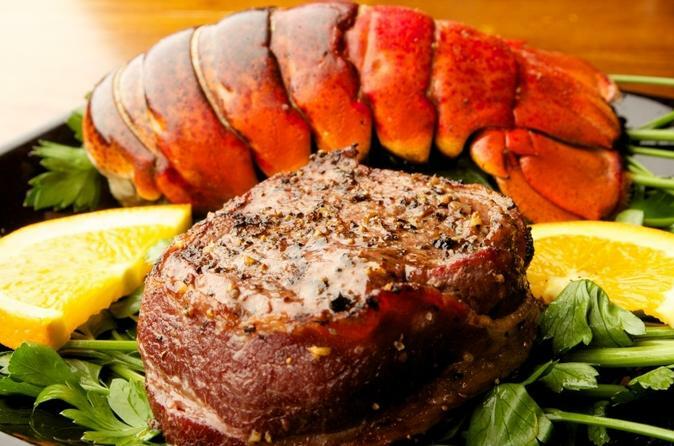 As you sail out to sea on the 'Jolly Roger,' an impressive replica pirate ship, enjoy a dinner of lobster, filet mignon or other delicious choices. Then watch a swashbuckling, family-friendly pirate show, complete with fireworks. You can dance and play pirate-themed games until you return to shore.